Technology—our use of and reliance on it—is a fraught topic in the modern world. Perhaps it is appropriate to begin this blog by noting that I sat down to make preliminary thoughts at the table with a pen and paper. I took these notes and keyed them into my word processing program later. I skipped the typewriter, but I think Heidegger’s concern about “proper writing” and technology is still worthwhile to reflect upon. Does my keying these words into my laptop separate me from myself, from my ideas in a dangerous way—in a way that is different from the technology of the pencil or pen? To add to this, I chatted with a friend on Facetime about the topic and will later post a link to this blog on Facebook. Maybe someone will tweet this blog. The technology behind this blog on technology…. More seriously, how do these electronically mediated encounters affect my relation with the world? Broadly, we can ask how do the mediums (pencils, laptops, internet) affect our writing and creativity, and even more importantly, how do different technologies enable particular ways of understanding the world and acting in it? While I very much believe that the pencil can be as fascist as the Mac, and that the pen is a tool like a mouse is a tool, the larger question regarding technology remains unanswerable at this time. These technological changes in communicating information over the last two centuries, showed above by the switch from pen to word processing, may be just a difference in degree. On the other hand, especially with the ongoing work on AI; robotics; chatbots; the Internet of Things; and iBeacon and Bluetooth LE, they may be a difference in kind. 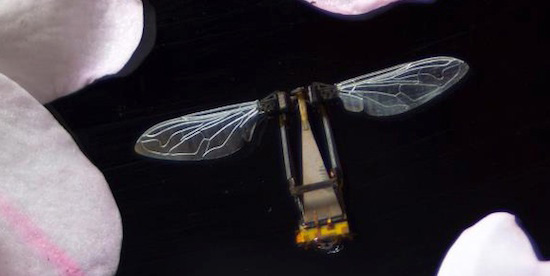 Will the singularity, or advanced information technologies, allow us to “transcend our biological limitations,” as Kurzweil contends? Even without the possibility of uploading our consciousness into a server, many are concerned with the effects of technology on our personal relationships. Multiple studies are undertaken to understand how digital closeness may in fact make us more distant from our family and friends. How many Facebook friends are counterproductive to relationships made and nurtured in IRL? Do online dating site algorithms know you better than yourself? What is it about the cold intimacy of the online space that generates such love stories—both torrid and commonplace? Big data may change many things, including dating. This doesn’t begin to address the relationship between particular institutions and technology. Every semester, I teach freshman about technology and violence. We cover the ongoing Revolution in Military Affairs, and more broadly, how technology is impacting how people fight and die in modern warfare. Surveillance and weaponized drones stand to change the face of war in the 21st century. 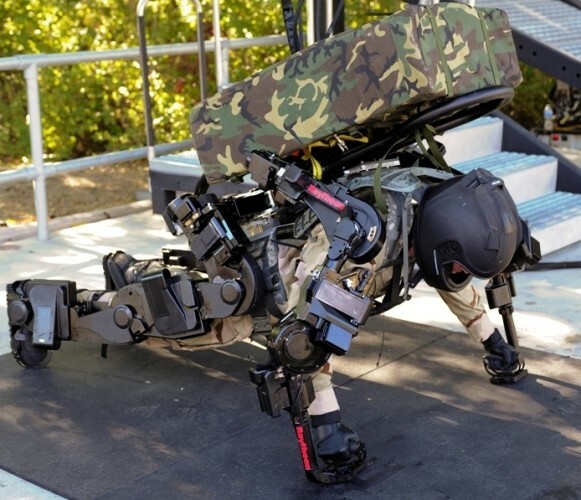 Robots are increasingly used in conflict situations: IED detection units and so-called battlefield “killer robots” that take humans out of the loop in the future making autonomous decisions on targeting, to name but two. A side note that is worth mentioning concerns Amazon.com’s stunt with drone delivery systems unveiled this Cyber Monday: drones or not, Amazon will likely control the entire infrastructure of package delivery in the future. Amazon Fresh, their next day grocery delivery service, will deliver all the goods with trucks (or perhaps drones in the future) owned by Amazon. They’ve already cut a deal with USPS to deliver packages on Sunday. There is also the disturbing general trend toward the militarization of the police in the US. Counterinsurgency techniques are adopted in urban areas, and some programs—like Massachusetts’s C3, or Counter Criminal Continuum, policing—explicitly draw on counterinsurgency techniques. Based on the Avghani Model, born from US experiences in Vietnam and Iraq, it adapts COIN and Green Beret techniques to target gangs and drug dealers in high crimes areas. The website explains, “This is accomplished by, with, and through the local population. C3 Policing creates multiple pressure points on criminal elements and establishes a robust intelligence cycle that drives law enforcement operations. As a result of these efforts, violent gangs and drug dealers are denied operational freedom to maneuver and one by one their networks are attacked systematically.” Along with the disturbing trend toward counterinsurgency techniques used on US soil there is a concomitant attack on civil liberties that intensified with the PATRIOT Act after 9/11. This militarization of police and the concentration of power to suppress the constitutionally protected right to assemble were well demonstrated by the coordinated attacks that forcibly suppressed the Occupy movement in multiple states by the police and the FBI. Last year, Naomi Wolf, writing in the Guardian, told of the findings of The Partnership For Civil Justice Fund. The FBI, the Department of Homeland Security, local police, and local mayors combined efforts to break up Occupy camps across the US. 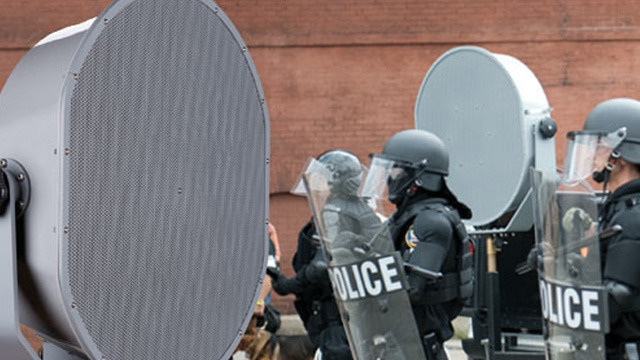 Not only were the attacks on Occupy camps coordinated, they often used illegal crowd control technologies like the LRAD Sound Cannon (and here), tasers, flash bombs, wooden dowels and stingball grenades. Technology and civil liberties are definitely an area that needs more attention. As of late, another chapter has been added. In part through information provided by whistleblower Edward Snowden, the NSA was found to be surveilling and gathering copious amounts of information on “terrorists” while “accidentally” saving emails, phone conversations, etc from the average American internet and phone user. Apple, Google, Microsoft, Facebook, Yahoo, LinkedIn, Twitter and AOL have recently decried this bulk collection of data in an open letter to President Obama. As reported byThe Guardian, the big 8 will back radical reforms to protect individual freedoms over increased state power. Of course, much of the motivation behind this letter includes the fact that consumers will not purchase what they do not trust and that the NSA surveillance has “shaken the trust of our users,” according to Yahoo CEO, Mayer. In this letter, the above companies put forward five principles that should be put into action. Governments should limit their authority to collect data, have oversight committees when collecting or compelling data, support self transparency, respect the free flow of information, and improve frameworks to avoid conflict among governments through mutual legal assistance treaties (MLATS). But keep in mind, these are the same companies (and corporations like them) that are behind the Trans-Pacific Partnership free trade negotiations, or TPP. While wanting the government and state power limited, corporations are quite happy to support radical new political powers granted, in secret, non-transparent, democratically unaccountable meetings, to corporations. Details of the TPP, recently made public by Wikileaks, reveal it to be the largest economic treaty ever negotiated, and it will eventually cover 60% of the world’s GDP. According to Wikileaks, the treaty negotiations have been so secret that even US Congress members have been unable to view most of the treaty while 600 “trade advisors” from corporations like Chevron, Haliburton, and Walmart, and Monsanto have been privy to most of the text of the treaty. In this treaty, supranational litigation tribunals will replace sovereign courts in enforcing far-reaching laws covering prescription drugs, intellectual property, patents, copyrights, and trademarks. Further, hearings can be conducted with secret evidence. At first glance, this increase in corporate power and executive power may seem coincidental, but there is a resonance that bears further investigation. In the US, the entanglement of corporate money and politics (dark money) and the legal status of corporations through Citizens United have been a hotly debated topic, as well as foremost in the concerns of the Occupy movement. Remember, the full title of this resistance was Occupy Wall Street and the first camp was in Zuccotti Park, only blocks from Wall Street itself, and and an emphasis of Occupy DC. It is also not coincidental that additional support for the suppression of Occupy came through “private sector activity”: namely, the Federal Reserve, “Bank Security Groups,” and a “Bank Fraud Working Group.” As Naomi Wolf points out, this merger of the private sector, DHS, and the FBI puts tracking dissent into the hands of the banks. This could have disastrous results for freedom of expression for the average individual. To conclude, I want to return to how technology relates to politics in the context of this short investigation. For the undergrads in my class, I always pair excerpts from Clausewitz’s On War with Foucault’s lectures Society Must Defended to show the intimate relation of politics and war. Foucault inverts Clausewitz’s famous dictum “War is the continuation of politics by other means” to “Politics is the continuation of war by other means.” In this inversion we can see the institutionalization of violence into society and culture. War never ends with the peace agreement; it is subsumed into state politics. Technology is often offered as a solution to problems we see around us. Wars will be easier to fight with “smart bombs,” but what about when these smart weapons continue to kill civilians, as was the case in both the Iraq wars? It will likely become apparent to those affected by these bombs that the launchers might be aiming for them, or perhaps even more likely, that the victims matter little to those aiming the bombs. What if, as Peter W. Singer asks, a robot malfunctions and kills civilians? Is this a programming error or a war crime? Robotic and smart technology do not answer the ethical and moral problems of civilian death–in fact, it defers it to a supposedly neutral realm devoid of careful reflection on the limits of that technology. This is technological solutionism at its most frightening. This isn’t just about the irony saving the world with a click on your smartphone built with REEs causing that bloody conflict you just watched a video about, but rather the obfuscation of multiple levels of undemocratic processes, corporate and government corruption, and unethical, immoral, and deadly political practices. Technology is not neutral, nor is always able to offer solutions to the complex world we live in. This entry was posted in Government, Uncategorized by steffishel. Bookmark the permalink. Agreed. Also, really thoughtful post. Are you building an article in that direction? This post did end up going in directions I hadn’t thought about when I started. I teach this stuff every semester so it was on my mind. All started with a poem on Heidegger that I wrote early one morning…. Technology is Poetry by other means! Always there with perfect article. Fabulous.